Mark C. Eddy was born in Newfoundland, and has lived in the greater Toronto area for the last 14 years. 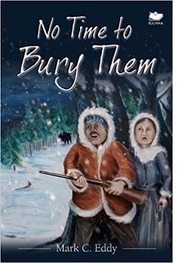 No Time To Bury Themis his second book. His first book, The Recent History of Terrorism in Canada, 1963-2013, is a work of historical non-fiction. His third book, The Men In The Woods, will be published in early 2018 and takes place in Newfoundland in 1942 and details the island's role in the chaotic Battle of the Atlantic. He currently lives in Mississauga with his wife and two daughters. Everyone knows about the American Wild West. Outlaws like Billy the Kid and lawmen like Wyatt Earp, have filled our spare time and imaginations since the West ended well over a century ago. How many people know that Canada has its own version, like so many other things American? To be exact, it’s the Canadian Wild North West. In 1897, prospectors reached the American West Coast. They had arrived from the North, with mountains of gold that the people of Seattle could scarcely believe. The prospectors’ words spread the way only news of wealth and fantasies can: there was gold in the Klondike region, which for the listeners who weren’t familiar, was in a part of Canada called the Yukon. (It’s above British Columbia.) Digging mines up there was one option, but the gold was so plentiful that a person with no skill or experience in prospecting could simply scoop nuggets from a creek’s bed. Approximately 100,000 dreamers, from the world-over, raced for one of the world’s last untamed frontiers. 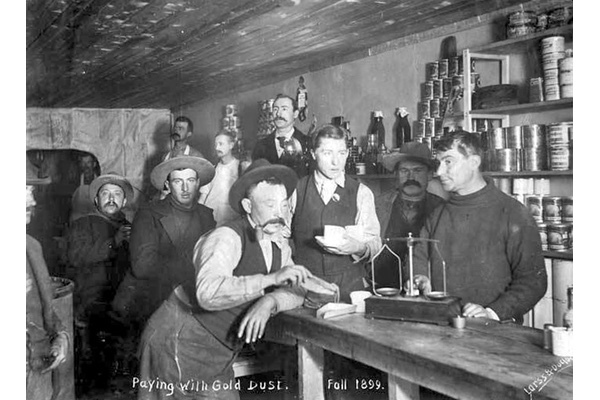 The Klondike Gold Rush was born. The Yukon was not an easy place. The environment was harsh and there were few authorities there to assist. Gullible people, plenty of money, and a lack of police was a recipe for crime. With the newborn prospectors came swindlers, prostitutes, and bandits, all seeking their own fortunes. The government of Canada responded to the threats by sending more members of the North West Mounted Police to the region. As one of the only figures of the government’s authority, it fell to the Mounties to perform many responsibilities. Apart from regular policing tasks, a Mountie could also be responsible for mail delivery, public sanitation, collecting duties, recording meteorological information. They even acted as judges. Legendary lawmen like Sam Steele brought order to the Yukon with a caring heart and a firm hand. Many of Dawson City’s problems were resolved, or at least, mitigated to more tolerable levels. By 1899, the boom ended. Most of the people who went north returned to their homes poorer than when they started. The majority of the people who profited from the Rush made their money through legitimate and illegal businesses – not by picking gold from the ground. As for the Mountie, he had gained an international reputation as being unlike any other lawman. He was part cop, part forest ranger, an expert bureaucrat, and a symbol of Canadian sovereignty. The Mounties’ Golden Age had begun. If the Canadian Wild West was so compelling, then why aren’t people as familiar with the Canadian Wild West as its southern counterpart? That’s likely due to America’s hulking Hollywood, small screen, and sizable publishing sector. We shouldn’t be surprised that the nation’s media industry has chosen to focus on America’s own history and the stories it has to tell, rather than look toward Canada for content or inspiration. However, for everyone, the Klondike Gold Rush offers a wealth of fascinating history and opportunities for adventure – all waiting to be mined.